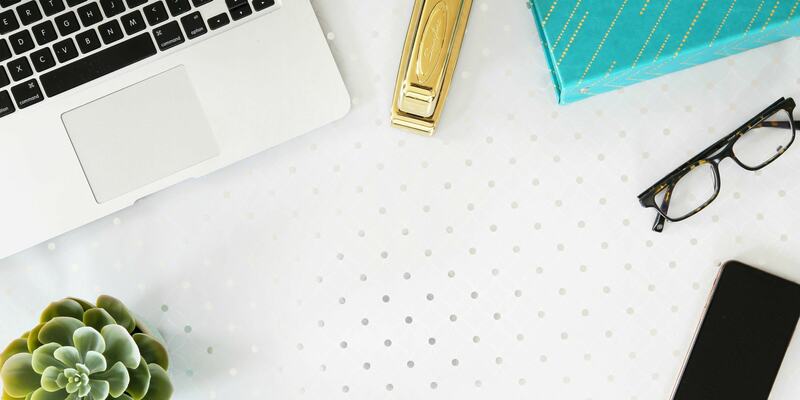 ‘Tis the season for organization, right?! 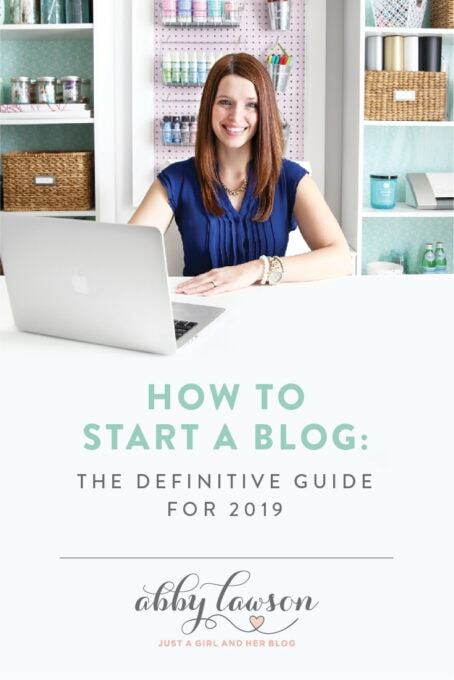 I am thrilled to be joining a group of awesome organizing bloggers this week to share some of our very favorite organized spaces! 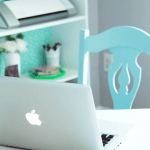 When I thought about which space I wanted to share, I kept coming back to my boys’ shared bedroom. A boys’ room is not always the first thing you think of when it comes to organization, I know. 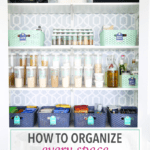 But though it definitely doesn’t always look as neat and tidy as it does in these photos, the systems of organization that we put in place allow us to never be more than about 10 minutes away from everything being back in its place, and that is a win in my book! 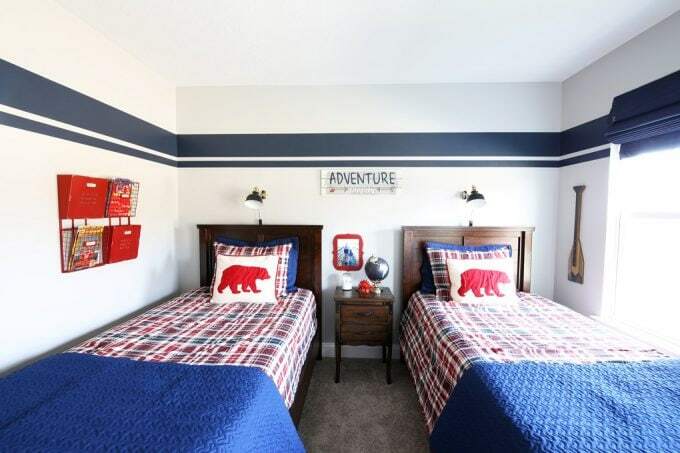 This room is not huge, and the fact that the boys requested “side by side beds” rather than the bunk beds they had in our old house made the space we had to work with even smaller. Fortunately, though, they have a playroom right next door that holds all of their toys, so we really just needed a place for them to sleep and to store their clothes in this space. 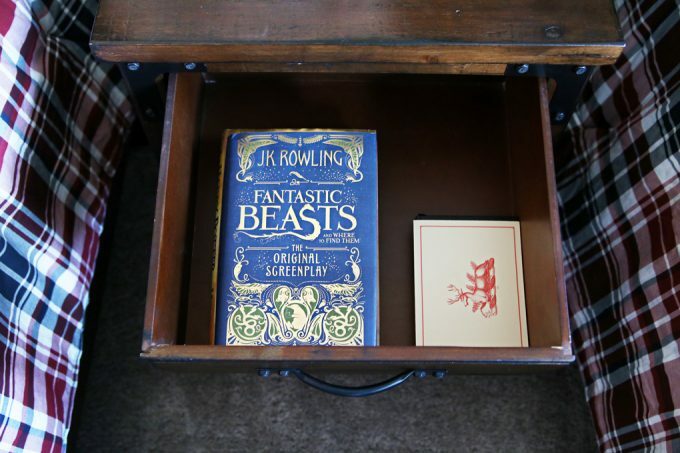 I still wanted each of the boys (ages 8 & 5) to have a little spot to store any personal favorites like books or small toys that they wanted to keep in the room, though, so we were sure to integrate that into the design. Connor, my oldest, sleeps in the bed on the right, and he uses the nightstand in the middle to hold his “stuff.” Right now he is on a big reading kick (yay! ), so it is mostly filled with his books at the moment. We also put some fun airplane hooks on the wall because, let’s be honest, hangers can be hard for little guys! 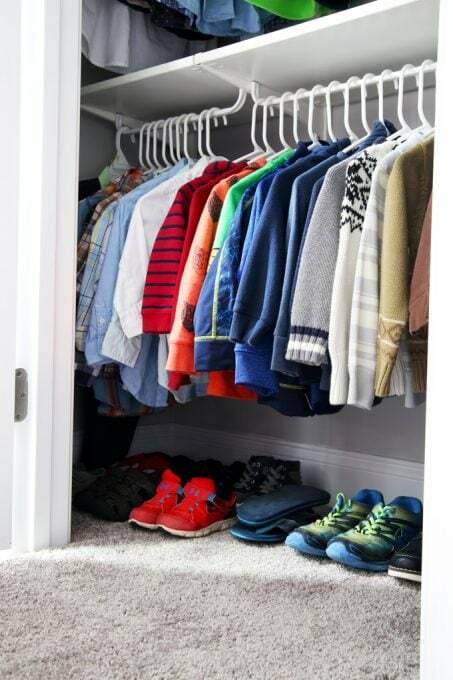 This way the boys can easily hang up the sweatshirts and jackets they wear most often, and I find less clothes strewn all over the floor. The basket at the end of Connor’s bed may seem like it’s just sitting there to look cute, but that was actually a strategic move. Con LOVES soft blankets. If I can’t find a blanket that I’m looking for somewhere in our house, I immediately know that he has swiped it for his bed. I gave him the basket for all of his “extra” blankets, so he could easily throw them in there and still make his bed look neat during the day. 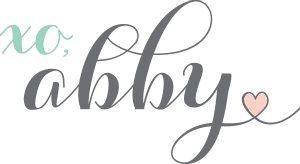 I talked about the boys’ closet in detail in this post, but I’ll give you a little peek here as well! One of the first things we did when we moved in was rip out the wire shelves and replace them with IKEA’s ALGOT system. 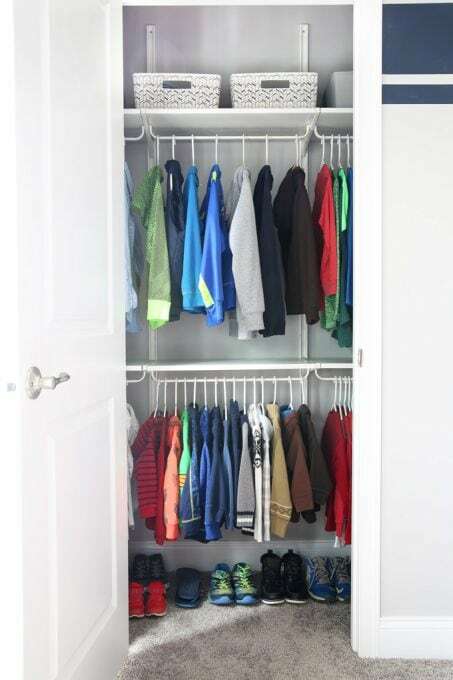 This allowed us to double our storage space, giving each boy one row for his clothes. 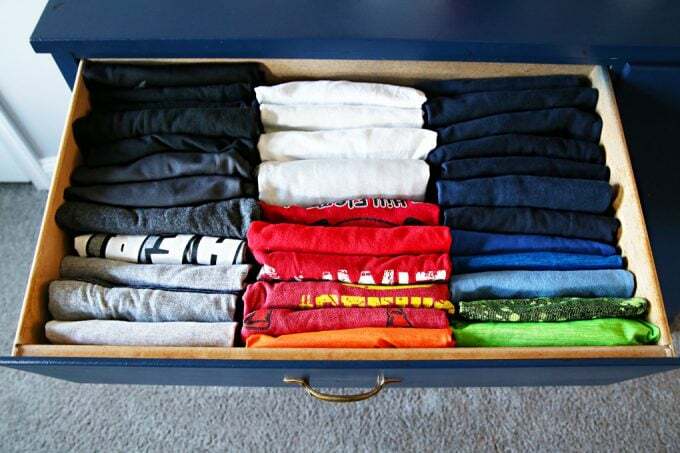 After trying a few different things, I ended up hanging all shirts with long sleeves– dress shirts, sweatshirts and sweaters, and long sleeved t-shirts– with Connor’s items on the top row, and Caleb’s on the bottom. There was just enough room to line up their shoes as well! The rest of their clothes are stored in a dresser, and since I could only fit one in this space, I had to really maximize every inch! There are four drawers, so each boy had two to hold his clothes. …and shorts and pants in the other for each of them. 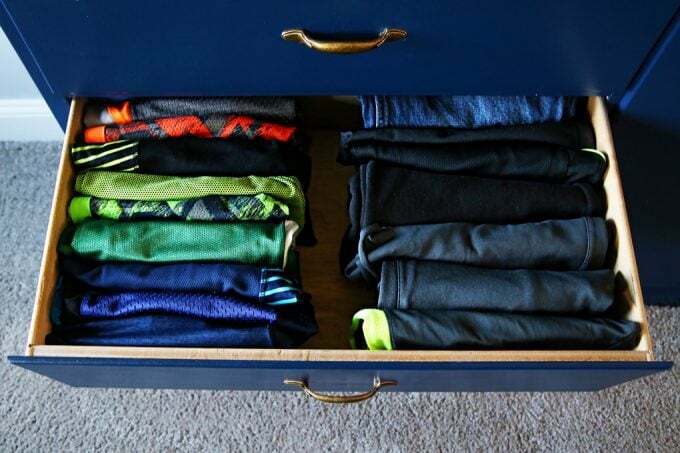 I use the KonMari method to fold their clothes in a “filing” type system, so that allows me to fit more items in each drawer. 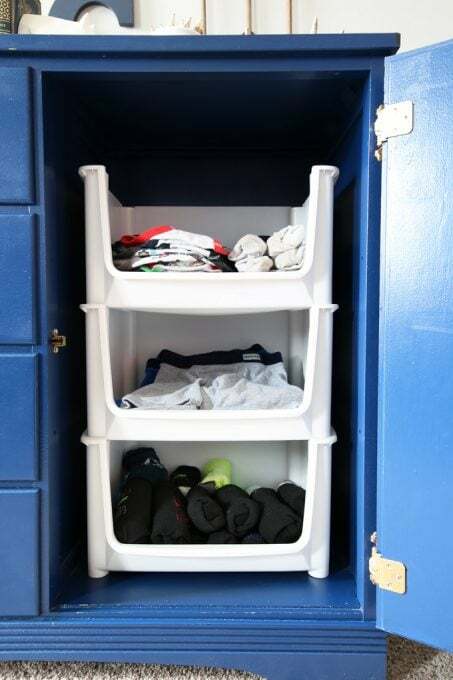 After their drawers were filled, I was left with the space behind that little door to fit all of their undies and socks, so I grabbed some pantry bins that I already had and was thrilled that three of them fit perfectly stacked in the space. Caleb’s items are smaller so he has one bin, and Con has two bins. 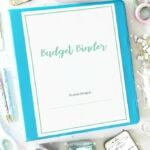 And don’t forget to hop around and visit my other blogging friends’ organized spaces– there is so much organization inspiration being shared! Thanks so much for following along! Have a wonderful day! So neat and tidy (and adorable)! 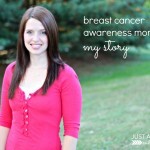 Thank you so much for sharing, Abby! It’s true that kids really need their own spaces to stash their “stuff” so by giving it to them, they are more likely to keep things put away. So agree, Brenna! Thanks so much! Have a wonderful day! 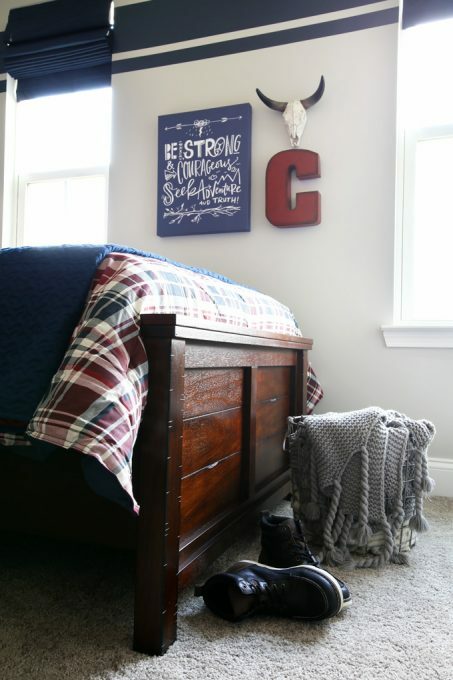 I love their room and the fact that you have each boy a spot all their own for storing treasures. You’ve really maximized the space in that dresser as well! All the heart eyes over here! Aw, thank you, Kimberly! I loved creating this room with my boys! 🙂 Have a great week! 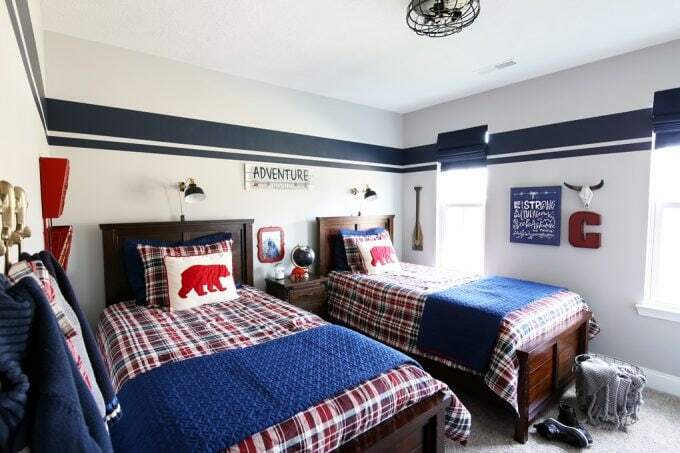 That is the cutest boys’ room! 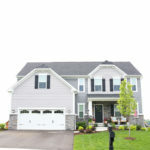 I totally need to tackle my boys’s rooms! 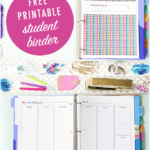 Love all the great ideas for keeping them organized! 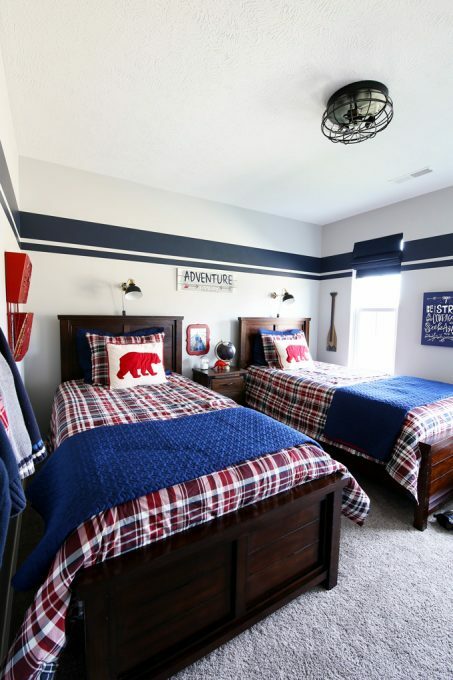 Love the boys room, wish mine would keep their rooms this neat and organized! 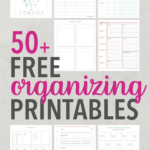 Now that is ORGANIZED! Nice job!! Aw, thanks so much, Julie! Hope you’re having a wonderful week! 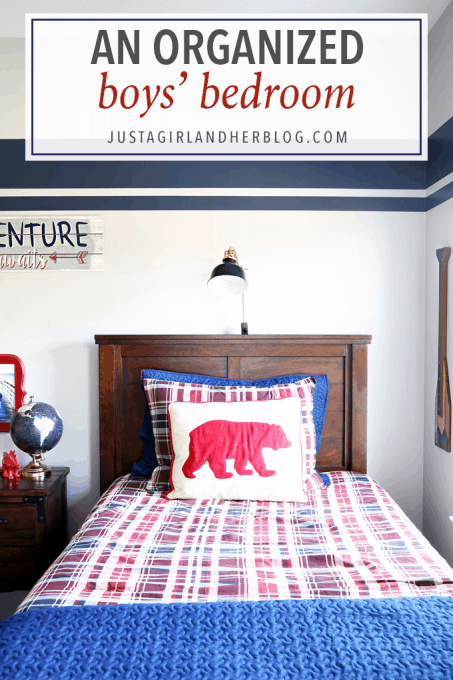 This room is so adorable – and when my boys were little they, too, chose to sleep in beds side-by-side. It’s very endearing! 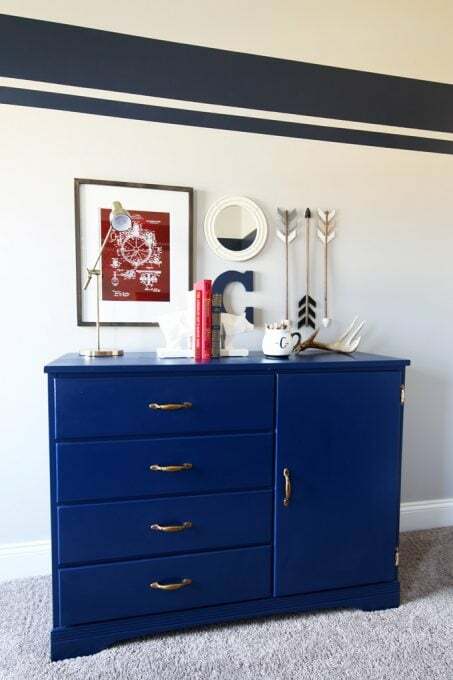 Definitely stealing these ideas for our boy rooms! 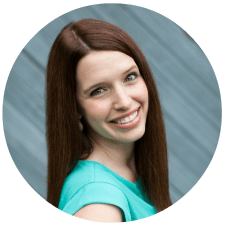 Thanks so much, Kristy! Brothers are just the best, aren’t they? 🙂 Hope you’re having a wonderful week! 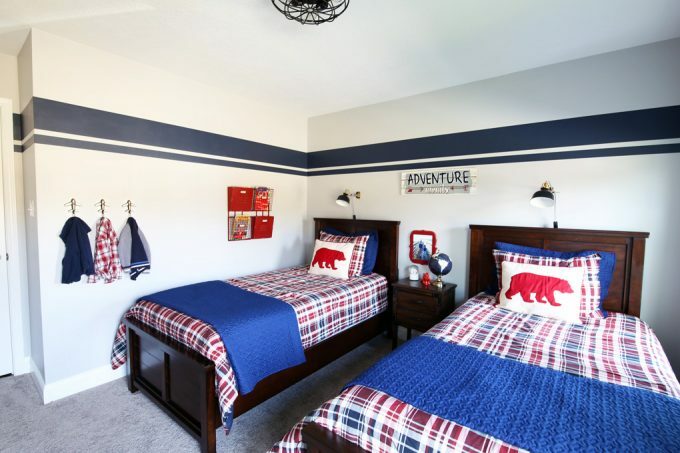 Such a fun room for boys! 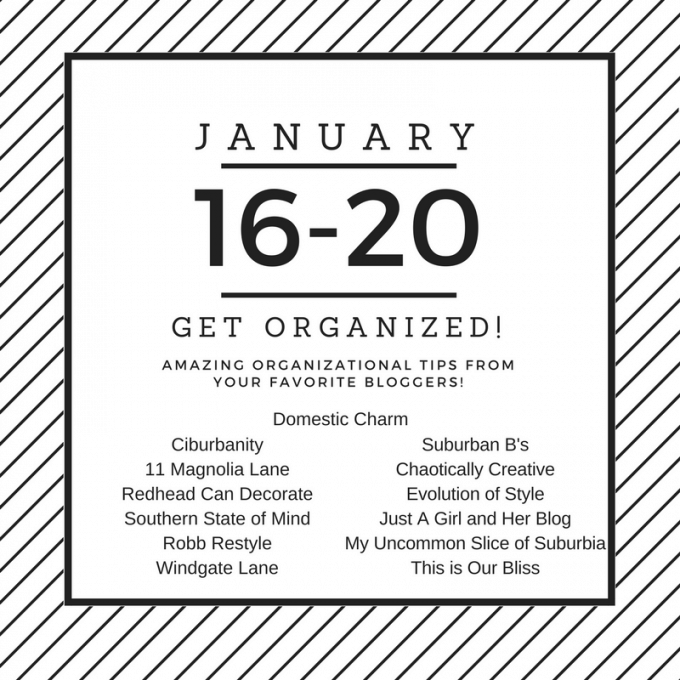 and love the organization! Thanks so much, Bridget! Have a wonderful weekend! I love this room so much, it makes me wish my boys were still at this age. What a perfect boy space for them both to grow up in. Great job! H Abby, Great room great colours, storage ideas and a room for the boys will grow with. Well done!! LOL I got so excited when I saw the title of this post. I’m like, YES! Finally how to keep my son’s room from looking like a toy factory exploded all over it! We don’t have a playroom, though. 🙁 We do have this armoire thing that I think we aren’t using as well as we could… It is time for a big boy type redecoration though. 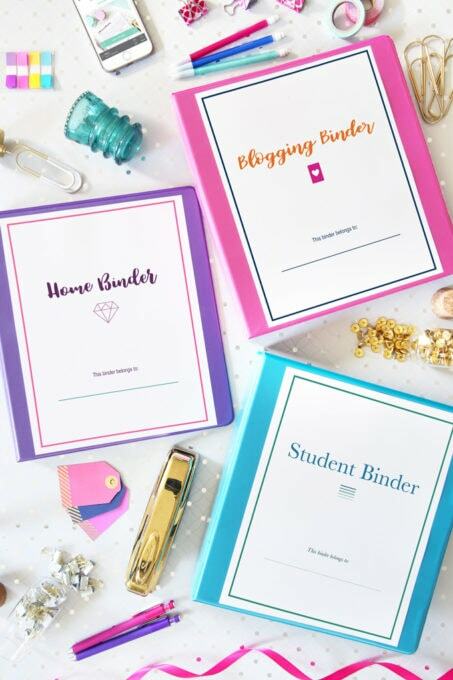 And this post is great inspo! So glad it was helpful for you, Leila! 🙂 The toys are certainly a challenge! I don’t know if I just missed it in the post but where is that dresser from? Hi, Nikki! My mom actually found it at an antique store for me! Sorry that’s not more helpful! Wow I am amazed on what you did with the space! I especially love the blue stripe across the ceiling! So picture perfect! Hopefully one day my boys room can look like yours!